ATLANTA, Aug. 6, 2018 /PRNewswire/ — Multiple EMMY® winning producer, social media influencer and entrepreneur Rushion McDonald, will host an invigorating lineup of influential leaders, entertainment creators, authors, and entrepreneurs on his hit radio talk show “Money Making Conversations” for August, sharing empowering conversations and motivation to help anyone navigate their careers, market their personal brand, and develop tools to succeed in their goals. From sharing the importance of work-life balance to managing finances, how to create new opportunities and overcome obstacles to success, McDonald brings his insightful expertise in the corporate and creative fields to “Money Making Conversations” each month. Hosted by Rushion McDonald and produced through his multimedia company 3815 Media – “Money Making Conversations” can be heard live every Monday on Atlanta’s biz1190-AM from 10AM-Noon ET, with a replay every Friday 10AM-Noon ET, and every Sunday at 4PM ET. “Money Making Conversations” can be heard on SiriusXM Channel 141 on Howard University Campus and SiriusXM Channel 142 on HBCU Campuses. The show can be downloaded on iTunes, iHeartRadio podcast, Google Play, Stitcher, SoundCloud, and seen live on the Money Making Conversations Facebook page. 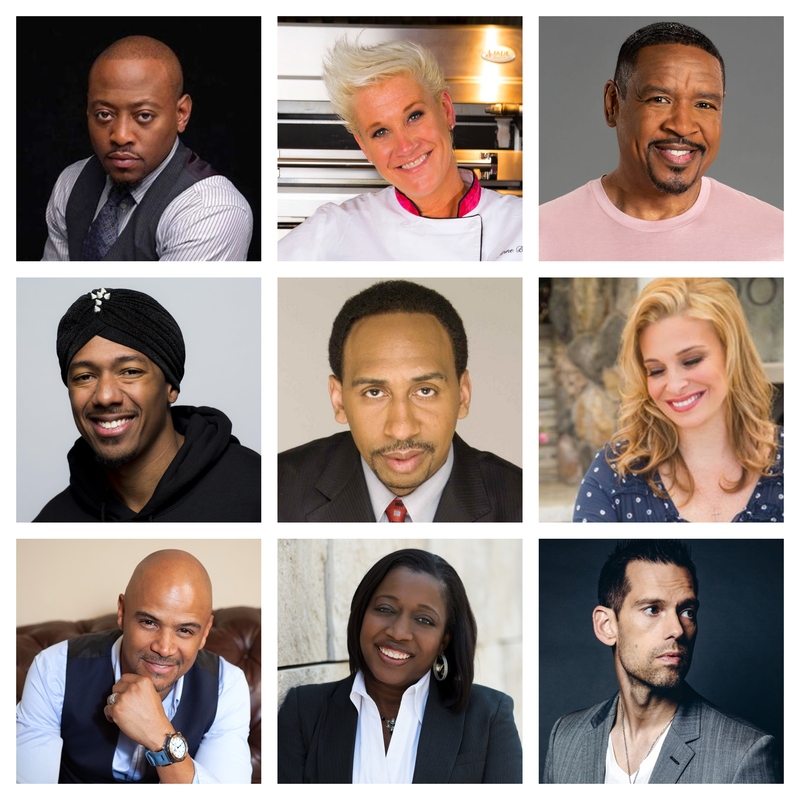 The diverse range of guests* expected in August on “Money Making Conversations” includes Actor (USA Network’s “Shooter”), author (“From Fatherless to Fatherhood”), and entrepreneur Omar Epps; Multi-hyphenate entertainer/actor/rapper/producer/entrepreneur Nick Cannon; Chef, Food Network personality (“Worst Cooks in America”), and best-selling cookbook author Anne Burrell; Chef, Food Network personality, and restaurateur Donatella Arpaia; ESPN personality Stephen A. Smith; Impact Theory Co-founder/CEO and Host, and Quest Nutrition co-founder Tom Bilyeu; Actor (OWN’s “Queen Sugar“) Dondré Whitfield; Actor (Bounce TV’s “In the Cut”) Dorien Wilson; Producer, screenwriter, and comic books writer Felicia Henderson (“Soul Food”, “Empire”, Marvel’s “The Punisher”, “Gossip Girl”); Food/lifestyle cookbook authors and personalities Jazz Smollett-Warwell and Jake Smollett (“The Family Table”); Hightowers Petroleum Co. President & CEO Stephen Hightower; Accel Lifestyle fitness apparel Founder & CEO Megan Eddings; Dream Flights International Chairman/CEO Anthony Thurston; MGPG Events, Inc. President/CEO and Creator of “The Black Women’s Expo” Merry Green; and The Sister Accord Founder & CEO, author, Sonia Jackson Myles.